Catalan centre-back Gerard Pique had a memorable night at Old Trafford against Manchester United, he is the reason Barcelona won the match. Apart from the evidently vital goal that FC Barcelona scored at Old Trafford last night, the biggest standout of this match vs Manchester United was Catalan defender Gerard Pique. The Blaugrana finished the game as the official Player of the Match after producing some of the most impressive individual moments throughout the whole 90 minutes against Manchester United, Gerard Pique completed a total of 9 clearances that allowed FC Barcelona retain their clean sheet during the match and this was more than enough for the player to be recognized after the game. Pique said it himself before the match, he feels like he owed a debt to Manchester United and there is no better way to repay it than by playing his best football against the Red Devils. Watching him play last Wednesday evening, is an evident proof that the Spanish National Team has made a huge mistake by letting him retire this early in his career because he has truly transformed into the best centre-back in the world right now. Pique is the main reason why FC Barcelona has won the most important matches of the season so far, he was also the standout in the three Clasico matches that the Catalan club played against Real Madrid as well. Out of all the stories that came before this very expected Gerard Pique return to Old Trafford, perhaps the most curious one was when Ole Gunnar Solskjaer was asked about his time alongside the Catalan player at Manchester United when he was still a player. During his press conference before the match, the Norwegian revealed that Pique has a nasty phobia for needles and the player confirmed this odd miscellaneous piece of information. 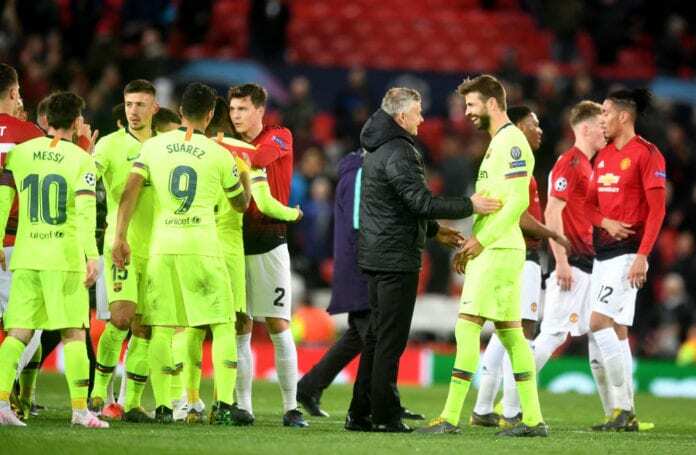 After the match ended, the Man United boss joked around a bit with Pique before he was officially recognized as the Man of the Match and there was a nice image of both talking on the pitch right after the final whistle. 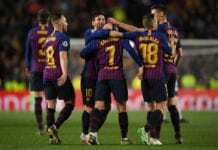 Everybody praise Pique after the match, his manager Ernesto Valverde also expressed his satisfaction for having one of the best centre-backs in the world at the club’s service and he reckons that Pique is one of the key elements who can help them get past the Red Devils for the return leg at Camp Nou next week. But everybody was eager to hear from the man himself, Pique spoke to reporters as he received the Man of the Match award. 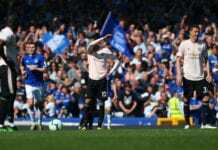 “Anything can happen in football, especially when you face great clubs such as Manchester United because they can turn things around at any given moment,” said Pique after the match via ESPN. “I think that we are going through the best defensive moment of the season. On a personal level, I feel very comfortable right now,” he concluded. What did you think about Gerard Pique’s performance against Manchester United? Please share your opinion in the comment section down below.